Good morning, my friend! I hope you had a great Monday. 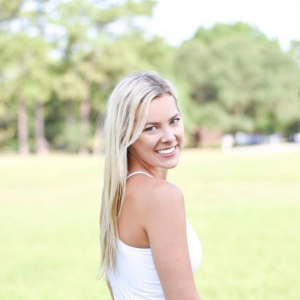 If you have been following Curated by Courtney for awhile then you know I absolutely love traveling. I went to London and Paris in May of 2014 to study abroad and have not been able to get rid of the travel bug since. Travel has opened my heart and eyes in many ways and I cannot encourage the investment in travel enough. I cannot emphasize enough how much I believe in this quote. The world is HUGE and every place you go is so different. If you follow me on Instagram then you know I recently went to Philadelphia, Pennsylvania. Philly is only a short plane ride from Texas but the culture is completely different. The architecture, the food, the people, the weather, the history – everything is almost completely different. How cool is that! I get so excited. Soaking up and experiencing newness is just AWESOME to me. Put my phone on what you say? I am serious. I know this will give some people a sense of anxiety they have never felt before but it is my favorite thing to do when traveling. I like to have my phone on me incase I want to snap a picture but I do want to get away from normal life when I travel. I love my family and friends to death but when traveling #tatagrouptexting. It is so easy to take your phone out for a picture and then spend 10 minutes getting caught up on group texts. Turn the thing on airplane mode and within an hour you will honestly never want to turn it off. This one is HUGE. It is so easy to get somewhere and immediately start snapping away and posting on Instagram, Facebook, etc. to tell everyone “look where I am!” I love seeing what my friends are up to as much as anyone, but this practice can really take away from the experience. Do not worry about sharing, simply worry about being. I take pictures and I might take a Snapchat or Instagram story as the day winds down but for the most part, my phone stays in my purse and I stay off the internet. I highly recommend this one! Often when traveling I leave my phone back at the hotel because the only real purpose I know it will serve me for the day is taking pictures. You do not have to buy a super expensive camera with all the bells and whistles, a small polaroid like this one will get the job done. I have even bought disposable cameras when out and about. There is such peace of mind knowing no one can bother you. Suggestion – do text people you know will try to “bother” you because they may become frantic if you are not answering all day. You might have seen a sneak preview of this on Instagram last night, this is my dream! The ultimate no wifi/TV service experience I have had to date was when I was in Ubud, Bali for yoga teaching training. What a gift this was, truly. During my 4 1/2 weeks here I had service I would say 5% of the time. This is some peoples nightmare but for me it was such an eye opener. I could not remember the last time I had looked around and seen the world in such a raw way since probably before I got a cell phone in middle school. When walking I was observing v. utilizing this time to check out my Facebook feed, I was not so involved in the negativity which fills our media today, and I did things for myself instead of for sharing them. Truly an incredible experience all around. I also went to Tulum, Mexico recently where the wifi service was not readily available either. In both of these places I did not have a TV either. I am not a huge TV person but I did used to use it as background noise from time to time. This makes you realize how many other things there are to do in the world than sit inside and look at a screen. 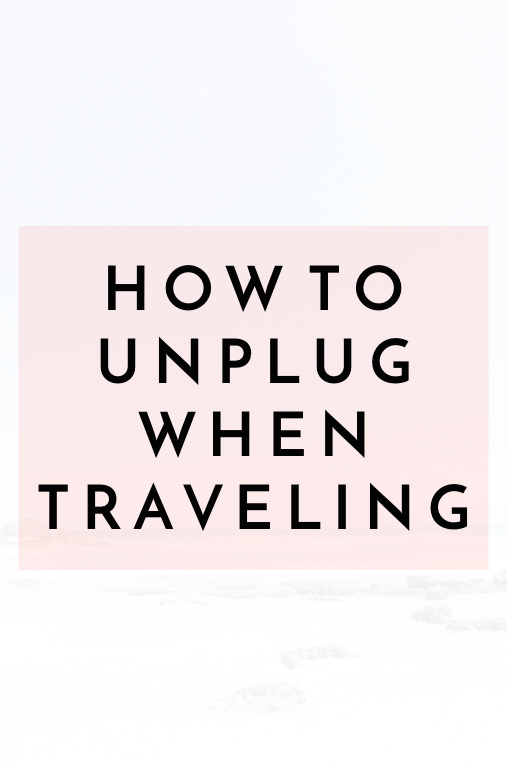 What do you do when traveling to unplug? I would love to hear any tips you have as well! I hope this makes your next travel adventure more meaningful and mindless – this is what seeing the world is all about. I want to take a second to highlight this Barefoot Dreams cardigan from the Nordstrom Anniversary Sale. I recently purchased the cardigan and it screams “take me on an airplane!” Good travel wear can be hard to come across so I had to share!